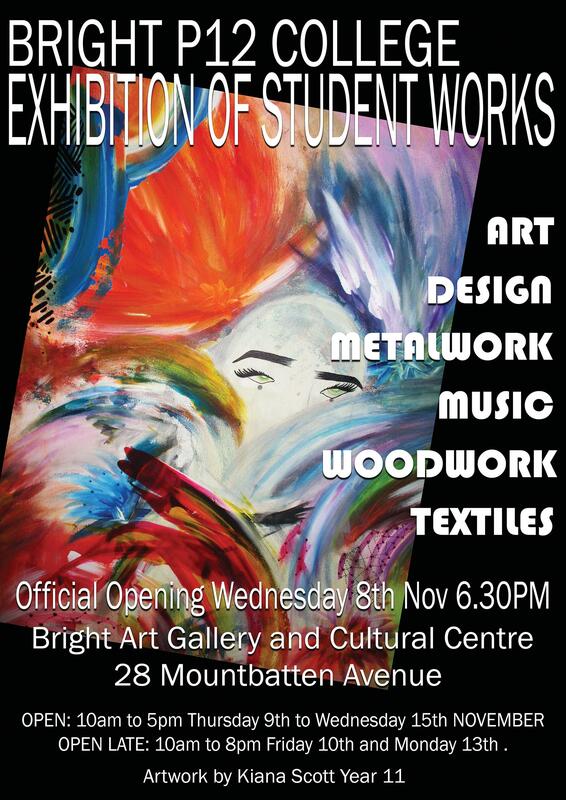 Opening Night: Wednesday, Nov 8th at 6.30pm. There will be music performed by students and light refreshments served. The gallery will be open Thursday 9th November through to Wednesday 15th November. Between the hours of 10am until 5pm, with extended hours on Friday 10th November and Monday 13th November, staying open until 8pm. This 2017 exhibition displays work from secondary Wood, Metal, Textiles and Design students, as well as Art from both the Primary and Secondary students. This year there will be three Music Soirees held at the gallery, Thursday 9th November, the Secondary Music Soiree commencing 6pm, Tuesday 14thNovember the P- Year2 Music Soiree commencing 6pm and Year 3 to 6 Music Soiree on Wednesday 15th November commencing 6pm.